Pruning is essential for maintaining the health and beauty of plants in your yard. 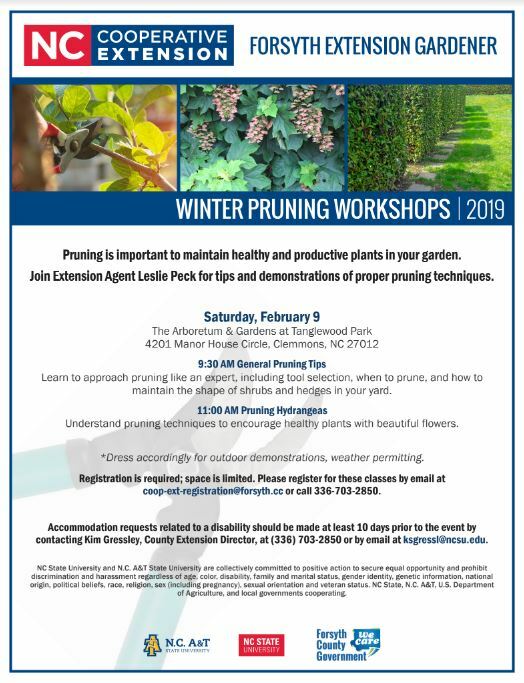 Extension Agent Leslie Peck will share tips and demonstrate pruning techniques during these workshops. Registration is required as space is limited. Please register by email at coop-ext-registration@forsyth.cc or call 336-703-2850. Tell the gate attendant that you are attending a class. View the flyer with more information.